It might seem strange to start an obituary of a seventy-seven-year-old by saying he was taken from us in his prime. 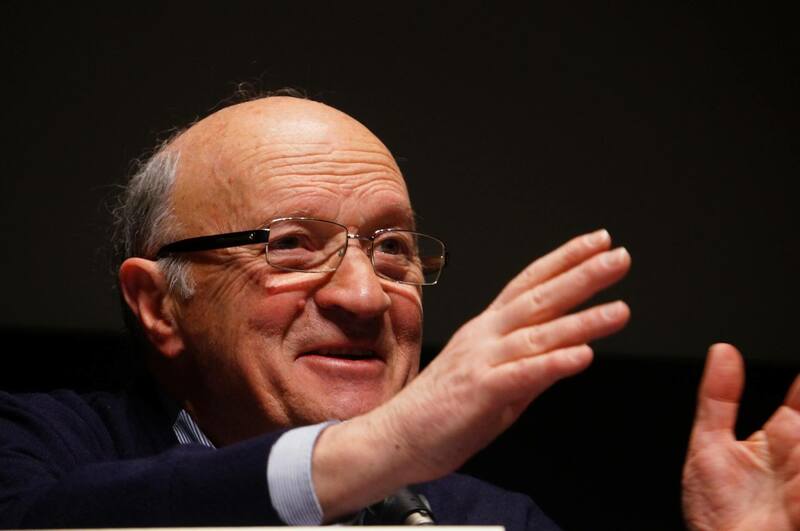 But before Domenico Losurdo was struck down by a brain tumor, the Italian Marxist had been at the height of his powers. Just last year he published a sustained polemic against the pretensions of Western Marxism, following a 2016 work in which he took a critical look at projects for peace throughout history. As an emeritus professor at the University of Urbino and president of the Associazione Marx XXI, deep into old age Losurdo maintained his globe-trotting activity of conferences and book presentations. Ever keen to promote his thought at the international level, until shortly before his death he was working on a new chapter for the English version of his Antonio Gramsci: From Liberalism to Critical Communism. This is just one of three English-language Losurdo titles due to be published in the next year, continuing to make his work known to yet wider layers of readers. But he was already among the most renowned Italian Marxists at the international level, as a richly partisan historian of philosophy, always attentive to exposing the material realities, the historical and social conditions, that stood behind all philosophical systems and ideas. In particular, this took the form of a piercing assault on liberal hypocrisy, most notably expressed in a work first published in Italian in 2005, then translated into English by Verso in 2011 as Liberalism: A Counter History. Losurdo exposed the colonial violence and slave ownership that went hand in hand with the rise of the liberal project in the eighteenth century, acidly pointing out the limits, the exclusion, and the hypocrisy at the heart of liberalism’s claimed universalism. This moreover aided Losurdo’s efforts to defend the Soviet and Chinese attempts at building socialism. He did not simply explain their crimes and errors (which he freely admitted) as a response to the war climate in which they emerged. Moreover, he excoriated the double standards that led liberals to compare Communist and Nazi violence, as if Western colonialism could somehow be set apart. Domenico Losurdo was indeed a highly political writer. Born in the year in which fascist Italy joined Nazi Germany in its war against the USSR, he was part of the generation radicalized in the 1960s, in which Maoist “anti-revisionism” exerted a strong influence over elements of the far left. From this Marxist-Leninist background, in the 1980s he joined the Italian Communist Party (PCI) and then, after its dissolution in 1991, the attempt to refound the party, Rifondazione Comunista (PRC). A professor in the philosophy of history at Urbino University, and a renowned scholar of Hegel, in more recent decades Losurdo’s work adopted a particularly pronounced “militant” nature, even while using the tools of historical and philosophical scholarship. Faced with the collapse of the Soviet Union and an onrush of liberal triumphalism, Losurdo mounted devastating critiques of those who painted this latter ideology as a harbinger of an all-embracing human progress. This was most notably expressed in his Liberalism: A Counter History. Contrary to its own self-hagiography, Losurdo explored the dark side of liberalism’s emergence in such industrializing powers as England, the Netherlands, and the United States. Not only did these societies build on a legacy of slavery and expand the circuits of the slave trade, but they radicalized and formalized its premises in white supremacy. For this Counter History, as for his study of Democracy or Bonapartism (forthcoming: Verso), Losurdo asserted liberalism’s essential reliance on exclusion, forever creating barriers of property and race. Liberalism not only inherited the hierarchies of the precapitalist world but created new ones; it not only subverted monarchy and hereditary rule but imposed new forms of division and exclusion on the colonial and metropolitan masses. Here, Losurdo succeeded more in exposing the grim origins of liberalism, and the crimes this engendered, than showing its fundamental, permanent need for particular forms of exclusion (or still less, slavery). His charges of liberal hypocrisy often appear as if a demand for the end to double standards and blind spots; which is to say, the fuller realization of a proclaimed universalism, rather than its simple destruction. This determination to historicize political thought is also key to Losurdo’s defense of Soviet-style socialism. As against whoever would say that communism works in theory but not in practice, his work poses the question of whether the same might also be said of liberalism. The Counter-History asks, “as with any other major historical movement,” not just what liberalism means in its “abstract purity,” but in real social relations. Framing liberalism in terms of exclusion, Losurdo sought to recast our view of the twentieth century by centering it on colonialism. The Nazi war for “living space in the East” was a colonial war of aggression against the USSR: it took the tools that Britain, Belgium, and France had used in Africa and Asia, modernizing them and folding them back onto the European continent. Even such a murderous enterprise could secure the allegiance of a thinker like Martin Heidegger because its culture was not, in fact, all so innovative. In this sense, Losurdo argued that the “totalitarian” label deliberately defamed the USSR by association while reducing to a secondary plane the mass violence that had already been perpetrated by democratic, colonial powers in recent decades. Why do we hear so much more of the Katyn Massacre or Holodomor than the slaughter of the Mau Mau or the Bengal Famine? In Losurdo’s view, to compare Stalin to Hitler was like placing Toussaint Louverture, leader of the Haitian slave rebellion, on the same moral footing as the French slaveholders, simply because both sides had “authoritarian” leaderships. This was, without doubt, a provocative reframing. Losurdo was untroubled by treading on toes but was sometimes tinged with contrarianism. While he recognized the exorbitant, paranoid aspects of Stalin’s leadership, his efforts to relativize it were often governed by a polemical zeal unjustified by the evidence marshaled. This made his reframing of Stalinism more “interesting” than necessarily persuasive. Losurdo long challenged that left which, in his view, abstractly criticized real attempts at building socialism without feeling the need to dirty its hands with practical choices. This was epitomized by his recent study of Western Marxism. This insisted that far from the USSR “degenerating” because of its isolation, the Western European left atrophied into a talking shop because of its isolation from real processes of social change. Losurdo’s political engagement bridged the divide between twentieth-century history and the present. The small Communist Party in which he was involved in recent years, naming itself after the PCI of Antonio Gramsci and Palmiro Togliatti, sought to revive the party that dissolved after the fall of the Berlin Wall. However, Losurdo’s work tended to avoid any examination of the specific processes that led the historic PCI to destruction. Today, the Italian left is still to recover from the PCI’s death, or perhaps, its life. Its zombie-like structures are still with us, in the neoliberal Democratic Party; its remaining cultural influence embodies the nostalgia for a once-great left that is unable to give life to anything new. The hard right is on the offensive and hope seems lacking; it is perhaps easier to cling to old certainties than to begin the communist project as if from scratch. Losurdo’s attempts to reclaim that heritage were often questionable but always stimulating. And his thought is still with us. 2019 will see English-language editions of his Democracy or Bonapartism (Verso), his vast Nietzsche biography and his study of Antonio Gramsci (both with Brill). Other forthcoming translations include studies of Hegel and of Kant. Through these titles and new readers’ discovery of his works, Losurdo’s penetrating thought will survive the tumor that killed him.